Halloween is here and the boys couldn't be more excited! 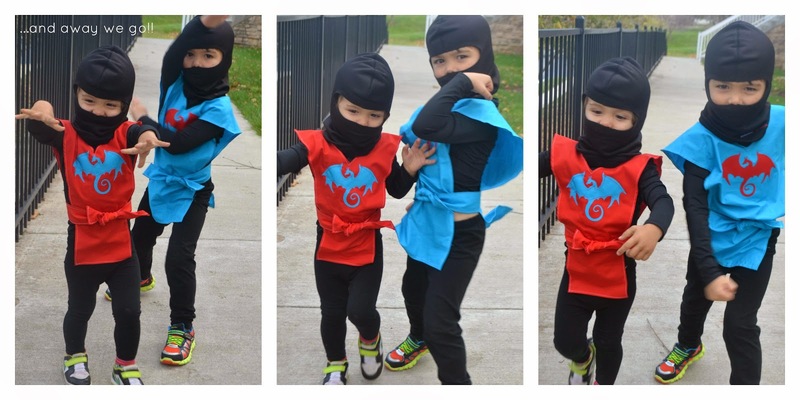 It was decided months ago that they would be ninjas this year and after much deliberation on colour options and symbols, we have finished our costumes! 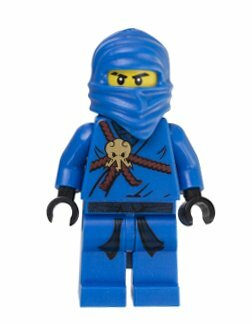 Andrew is a big fan of the Lego show "Ninjago" and is adamant that he is dressed as the character Jay. I was happy he wasn't too particular about the specifics, because my plan for for the costume was pretty simple. The photo shoot of the finished costumes didn't go exactly as I had imagined. 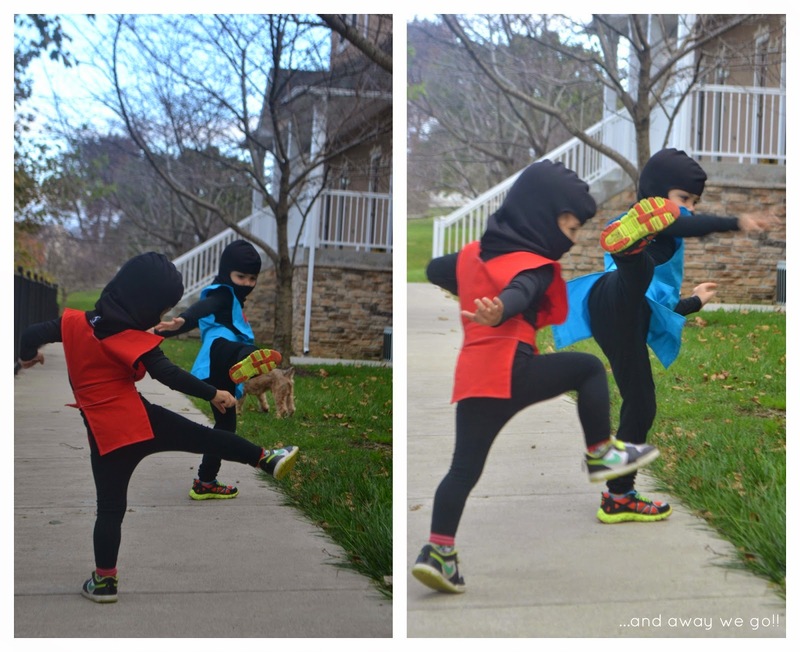 I think I would have had more luck photographing two jumping fleas... but I guess that's what happens when you put two little boys in ninja costumes! 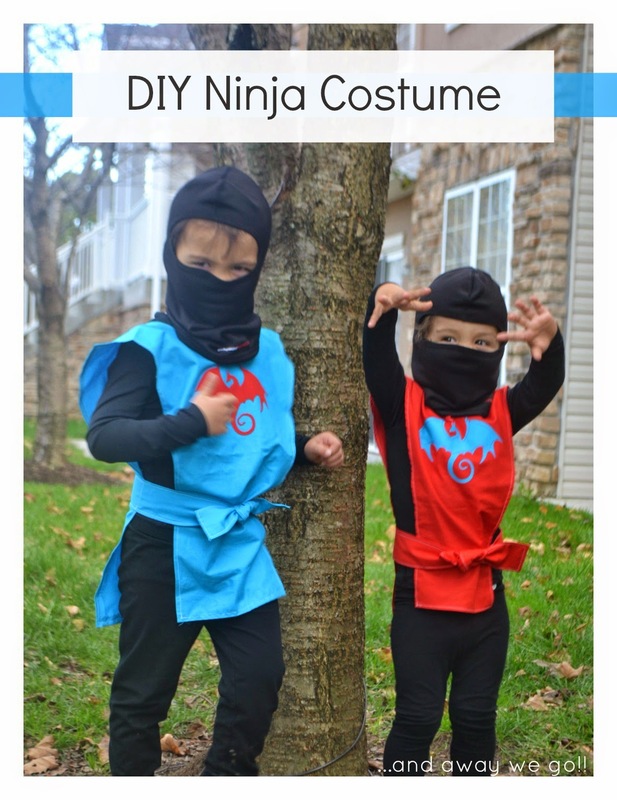 I picked up the black tights and and shirts for the ninja costumes at Target. I found them both in the girls department... don't tell Andrew! The masks are ski masks that I ordered from Amazon which should come in handy once we return to Canada. 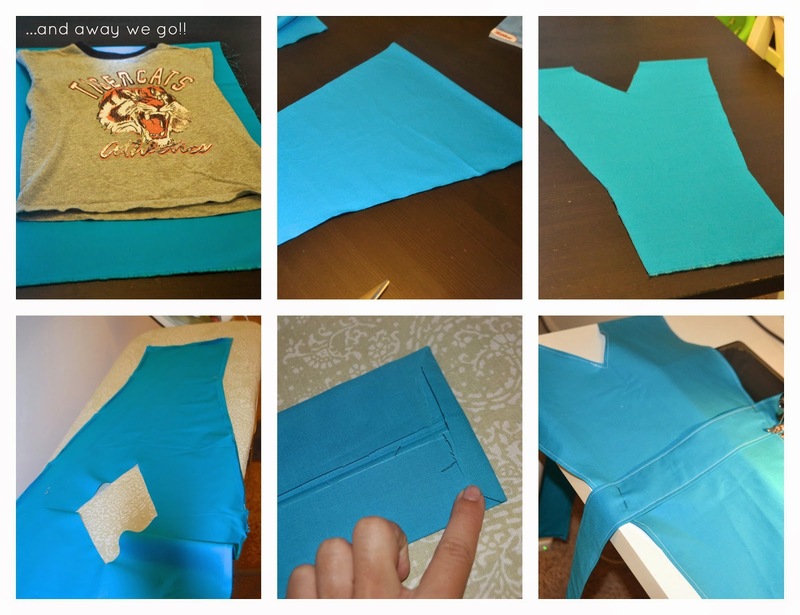 To make the ninja smocks I folded a piece of fabric in half and lined up one of the boys t-shirts along the top fold. Using the t-shirt as a guide I cut the shape below making the top about one inch wider than the shoulders of the shirt. I used the neck of the t-shirt as a guide for the triangular neckline. At this point, I ironed, pinned and sewed a simple seam along the outside of the entire smock as well as around the neckline. To make the belt, I cut a band of fabric that was approximately 3' by 8" in dimensions. I folded it in half and ironed along the fold. Then opened the strip and folded each long edge into the middle fold. After ironing the length of the band I folded the entire thing in half (along the original crease) tucked in the ends and sewed along the perimeter to make a belt. This belt was then sewn to the back of the smock. 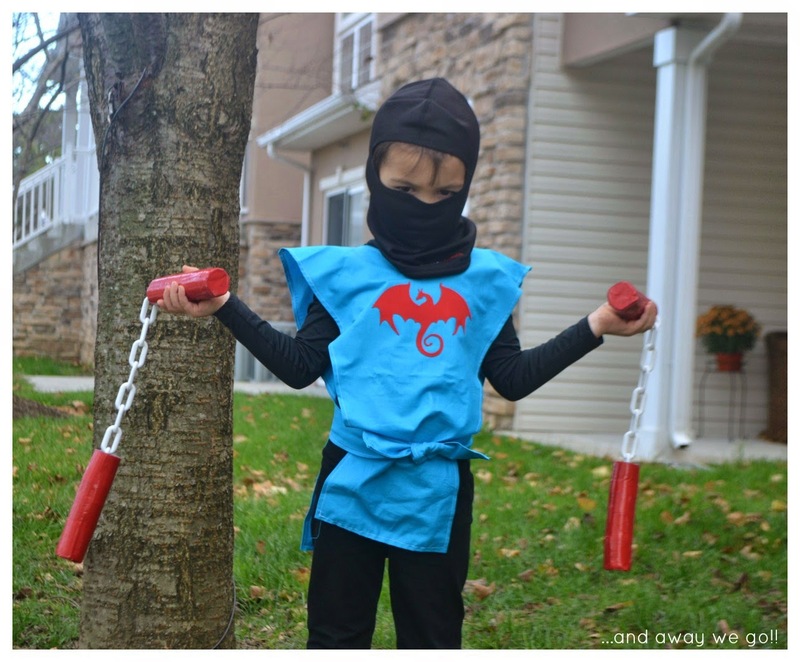 Using my Silhouette and the Silhouette Fabric Interfacing, I cut out a dragon and added one to the front of the smock, sewing around the outside. 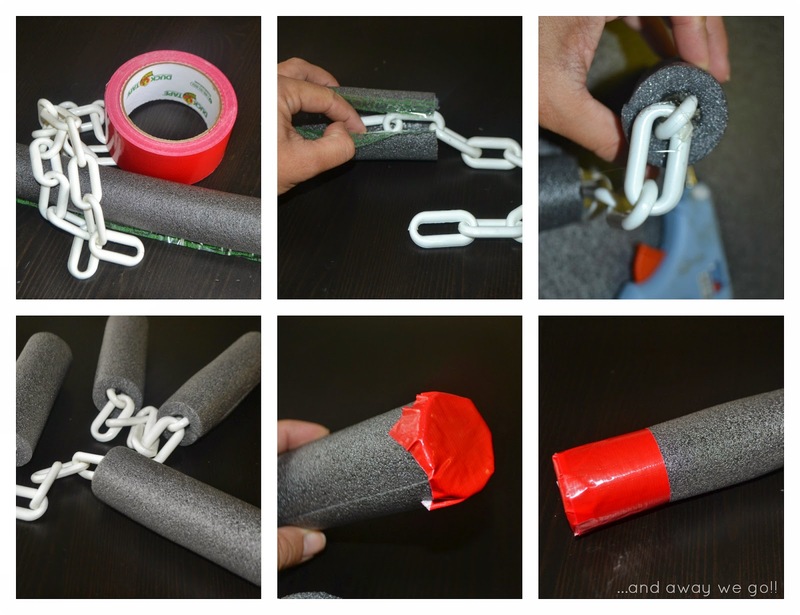 To make the boy's Nun Chucks I cut pieces of pipe insulation, glued a short length of plastic chain to the inside and wrapped the handles in duct tape. 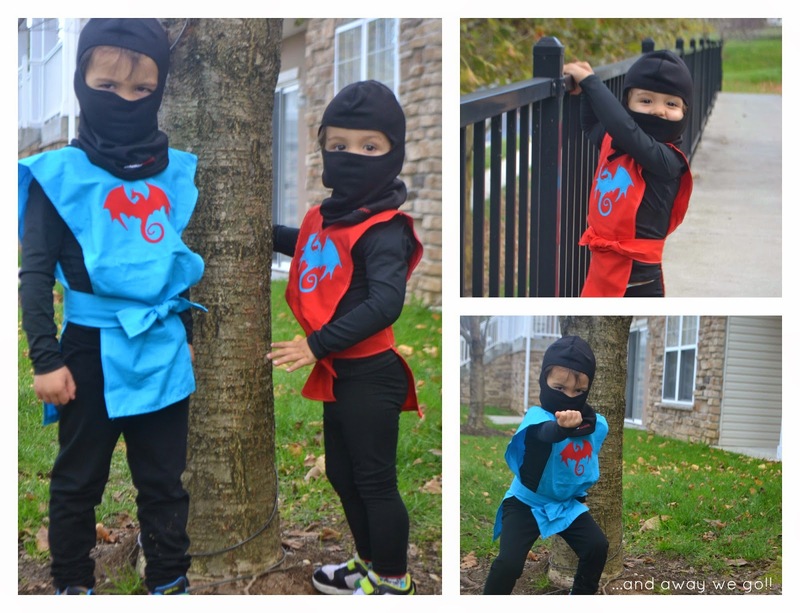 I'm happy to have checked this job off of my To Do list... who knows, we may have another little ninja to add to the pack before October 31st! So creative Leanne and love the actions shots of the boys, too cute.